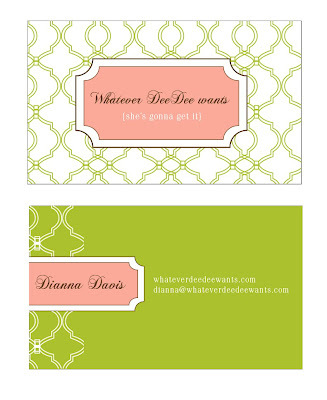 I just had to show you my cute business cards I had made from Oh Smile by Eva. Make sure to stop by her Etsy shop to see more custom calling cards and business cards or the Oh Smile blog. I love these!! I need new business cards as well!! Very cool. I did get one of those. Did you get one of mine? Turquoise with a zebra stripe - very sassy! I love cool business cards. Next time I want to do blogger "speed dating" to meet more people.